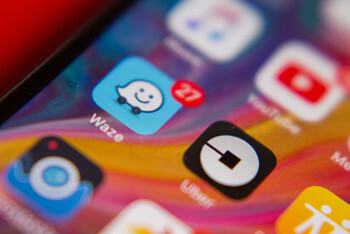 Leading mobility Apps Uber and Waze both have found car pooling a tricky product to master, mainly because it is such a hard market to pin down. The two companies now appear to be heading off in slightly different directions in terms of strategy rather than sharing the same ride. Uber POOL was launched in 2014 and operates globally in about 40 cities completing around one billion trips so far. Uber has conceded that there was a lot to learn and found that riders liked 'the affordability of POOL'; they were less excited about the unpredictability that sharing can bring. Express POOL is available in a host of cities in America and is due in London shortly. Fred Jones, director for Uber UK, says: ‘It’s been a constant iteration because frankly getting this product right is incredibly hard. We have recently rolled out a new version, which will arrive soon in London, where what we do is called waiting and walking. This Wait and Walk service is based on better data science. However, rival Waze has found the trick is less about the data and more about the people. UK country manager, Finlay Clarke, says: 'Car pooling has been around since the end of the second world war. We initially started by thinking it’s about all the routes, but it’s not about routes it’s about who you would get in a car with. 'We are learning a lot, making a lot of mistakes. Its all about people. Waze carpool looks a little like Tinder and the reason for that is you would not car pool with certain people.